Condemned by the gods to live out his existence without emotions, Xypher chose the pursuit of sensations, only to find himself condemned to death. But he is given one last chance: made human for a month, he must redeem himself in that time or Hades will return him to Tartarus and his torture. Simone Dubois is a coroner who isn't scared by much, especially since she's psychic and can see and hear the people she's working on. When they wheel in another victim, she doesn't think much about it, until he gets up from her table and starts to leave. Xypher doesn't have time to spend with Simone, but it's not long before mysterious attempts on her life force Xypher to stand between the woman who is beginning to touch the heart he thought had died a long time ago and the danger that is threatening her life. Xypher may be half god and half demon but when fell in love with the wrong woman and agreed to take a punishment that she had earned he was sent to Tartarus where he has been tortured by Hades for thousands of years. The betrayal and the constant suffering have turned him into an angry and uncaring man, he has spent so long without any kind of comfort that kindness and friendship are completely foreign concepts to him. We first met Xypher in Devil May Cry and as a thanks for his help Kat convinced Hades to allow him to spend one month as a human and if he can prove himself worthy he won't have to return to Tartarus at all. Simone is a human but she's also psychic and she's well aware of the Dark-Hunters and of the evil daimons and other creatures that often prey on humans. Her job as Medical Examiner mean she sees the worst of what these monsters do and she also helps her friend Tate (who is also a squire) cover up anything that would let the world know about the monsters in our midst. Simone's latest case involves a murder victim whose body was able to get up and walk out of the morgue and she's now trying to figure out who is behind the spate of deaths and how the bodies are becoming reanimated. She meets Xypher by accident when she is pulled into his world by his greatest enemy. The two have their life forces bonded together by magical bracelets and now they are forced to work together. All Xypher is interested in is getting revenge on the woman who wronged him before he is sent back to Tartarus to continue his existence of torture and suffering but as he gets to know Simone he starts to wonder if revenge is worth putting her life at risk. 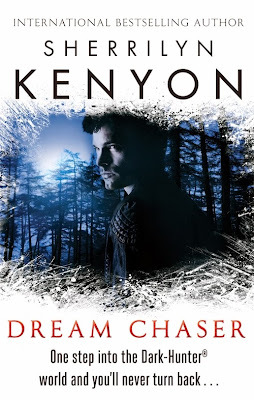 Dream Chaser takes us back to New Orleans and allows us to catch up with some of our favourite characters from the earlier books (yes Ash, I'm talking about you!) which is something that's been missing from some of the more recent books. I really enjoyed seeing some of the core characters even though Simone was new and we didn't know a huge amount about Xypher. There was a lot of humour in this story, Simone has a ghost for a best friend and Jesse definitely added a lot of funny moments but I also really enjoyed the romance between Simone and Xypher. I wasn't sure if I'd like Xypher to start with, he's so grumpy and downright rude in the beginning but it doesn't take long to realise that he's just spent so long without any kind of kindness in his life that he's forgotten what it's like to care or be cared for. I quickly started to feel sorry for him and I loved seeing him slowly open up as Simone started to get under his skin. There isn't much progression on the series story arc but we are introduced to a new character Jaden who I'm very curious about. I think he has a huge amount of potential and I'm really hoping we're going to be seeing a lot more of him. 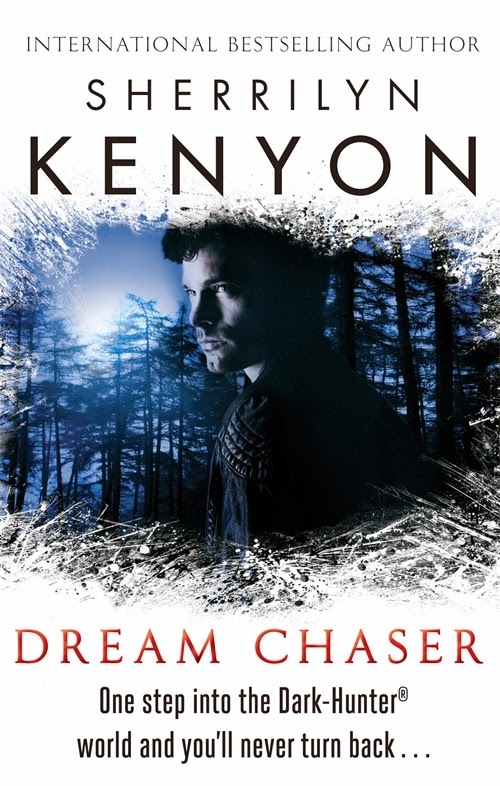 Dream Chaser is light hearted and heavy on the romance but there was a nice amount of action and it was good to see Xypher redeem himself. I'm loving the Dark-Hunters series and I'm incredibly excited that the next book is Acheron, I've been waiting such a long time for Ash's book!